Self-responsibility means we understand how our minds work. The 8-lesson course is $450 and includes one (1) Happy Kid Toolkit*. *The Reality Mat™ floor version for role playing and psychodrama is not included but can be purchased at a discounted student rate. 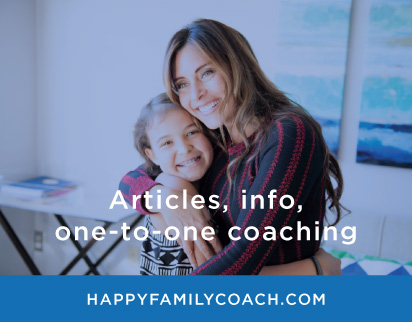 Happy Family Coach - Level One Certification: Upon completion of this 8-lesson Happy Family Coach Training™ course, you will be certified as a Happy Family Coach. Your certification will allow you to give presentations of the basic model and demonstrate the Happy Kid Toolkit™ with schools, classrooms, organizations, as well as in your own private practice or workplace. In order to maintain your Happy Family Coach - Level One Certification, you will be required annually to complete 12 hours of approved continuing education courses, workshops and/or presentations. As a Level One Happy Family Coach you are not allowed to train others to become Certified Happy Family Coaches. If you would like to become a Happy Family Coach Trainer, you will need to complete the Level Two Certification Course - Happy Family Coach Trainer (currently being developed). Submit a recording of you demonstrating The Happy Family Coach basic model as well as using The Happy Kid Toolkit™ to resolve conflict with an actual participant, client or audience member. Attend, complete and submit 12 hours of approved Happy Family Continuing Education courses, workshops and/or presentations annually. Agree to and sign a copy of the Happy Family Training standards, code of ethics and core coaching practices defined by ICF.